There is not a lot left of New-Pärnu (current old town of Pärnu) from the times of the Hanseatic League. One of the several fires that ravaged New-Pärnu in the beginning of the 16th century also completely destroyed the archive of the town hall (privileges, books and other important documents). The oldest buildings were destroyed during World War II. The only medieval building that has survived is the Red Tower. 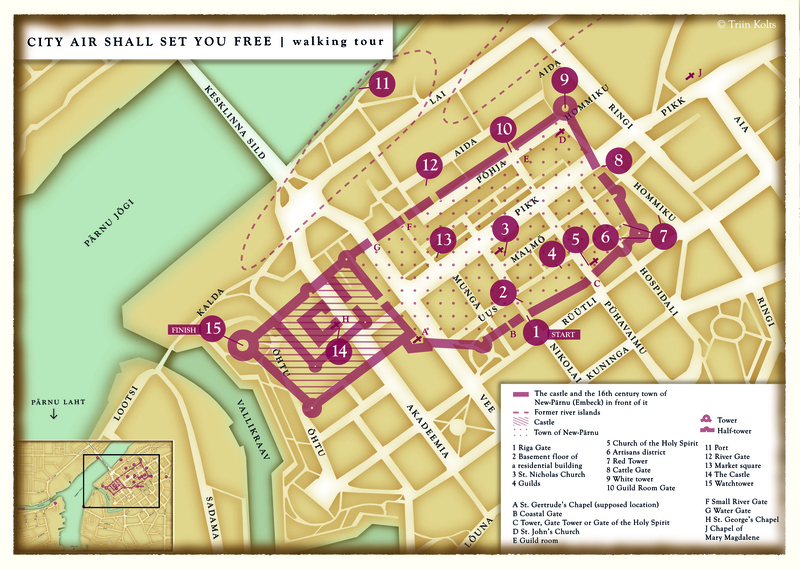 However, a more attentive pedestrian can find signs of medieval city wall elements marked on the pavement in the city space. 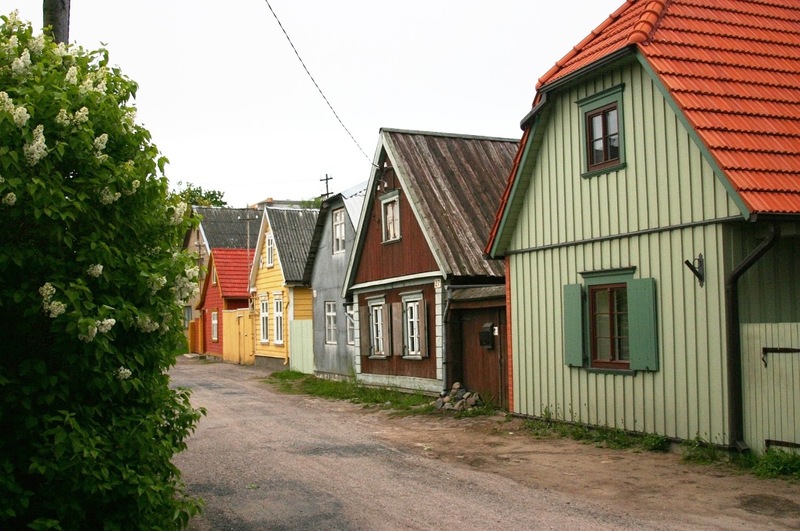 The street network in the old town of Pärnu, as well as many street names, date back to the Hanseatic times. The route of the walking tour focuses primarily on areas inside the town and castle walls (see points 1–15 on the map), the bike tour will take explorers outside of the town walls of New-Pärnu as well, and to Old-Pärnu (which is currently a district of Pärnu by the same name), see points 16–20 on the map. The Estonian Middle Ages began when Crusaders conquered our lands at the start of the 13th century. Soon after, the following Crusader states were created: The Livonian Order (Livonian branch of the Teutonic Order), the Bishopric of Ösel–Wiek and the Bishopric of Dorpat; Northern Estonia belonged to Denmark until 1346. New-Pärnu on the left bank of the Pärnu River and Old-Pärnu at the river mouth on the right bank of the Pärnu River were two independent towns in the Middle Ages. New-Pärnu was on the territory of the Livonian Order, whereas Old-Pärnu was on the lands of the Bishopric of Ösel–Wiek. Old-Pärnu (named Perona at the time) was established first, in 1251 at the latest, as a capital of the Bishopric of Ösel–Wiek. 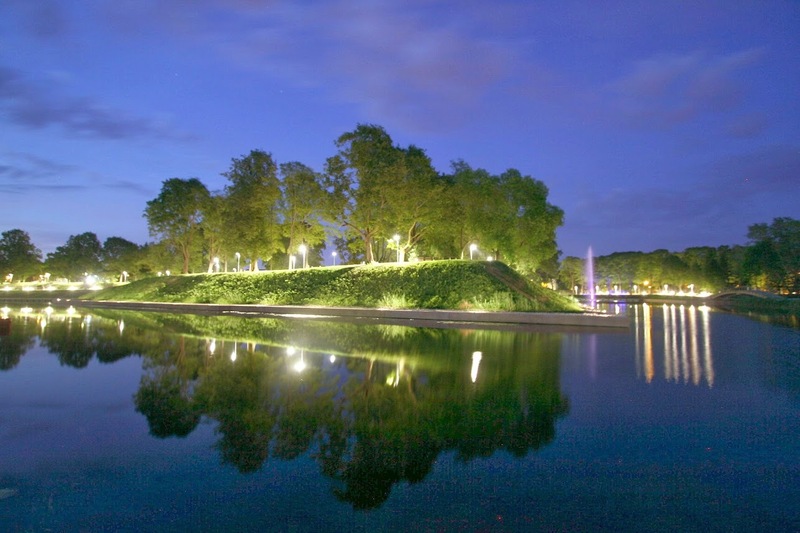 In February of 1263, Lithuanians attacked and destroyed Old-Pärnu. Townspeople who no longer had homes decided to move to the opposite riverbank. The Teutonic Order built a castle there to protect the townspeople, who then took to living in front of the castle. 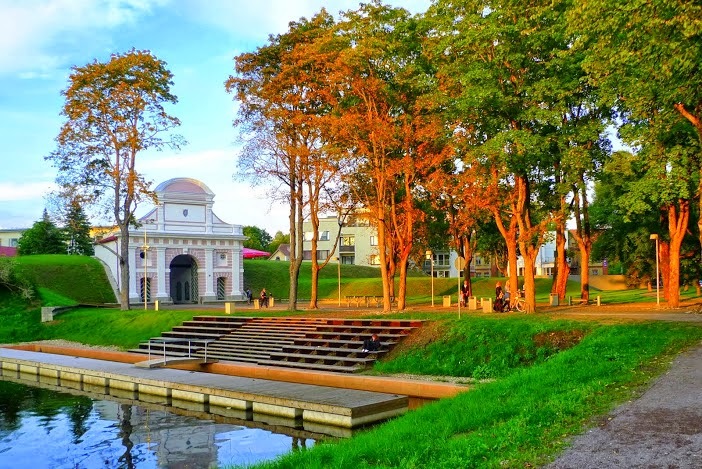 On Resurrection Sunday, April 5, 1265, New-Pärnu (which was initially given the name Embecke (Emajõgi) after the large waterway, which began at that spot back then and led to Pskov, however, people did not like that name and called it New-Pärnu) was given town privileges, with which the town’s territory was marked between the river and the sea and up to the mouth of the Reiu River. The town was also given trading and fishing rights on the river and in the sea, and a third of the Commander’s judicial income was allocated to secure and develop the town. No such privileges were given in Episcopal towns. Only New-Pärnu was part of the Hanseatic League created in 1282. At that time, the entire region governed by the Lord of New-Pärnu (a ruler who was virtually independent from the central power, Masters of the Livonian Order were Lords of the lands of New-Pärnu) was part of the Hanseatic League. New-Pärnu, as the only seaport of the Livonian Order at the time, had likely been a member of the Hanseatic Union since its foundation. Applying Hanseatic town rights to New-Pärnu was likely successful due to the interests of the Order and its support. The Middle Ages on our lands ended with the period of wars that started in 1558; the same period also marks the downfall of the Hanseatic League. 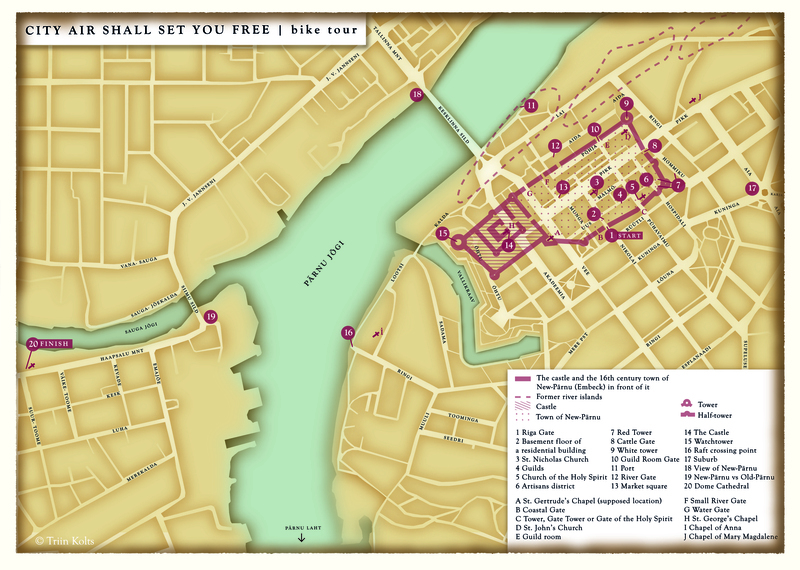 The name of the tour “City air shall set you free” comes from a rule enforced in the Hanseatic times, according to which peasants who had spent at least 1 year and 1 day in the city, without their manorial lords finding them, could become free and their lords no longer had the right to claim them back. This is the inspiration behind the saying “City air shall set you free”. Towns were not always eager to out the peasants as people where needed for simpler jobs in town, and incomers from the countryside did increase the town’s population. The conditions of accepting new citizens to the town of New-Pärnu are not well known. 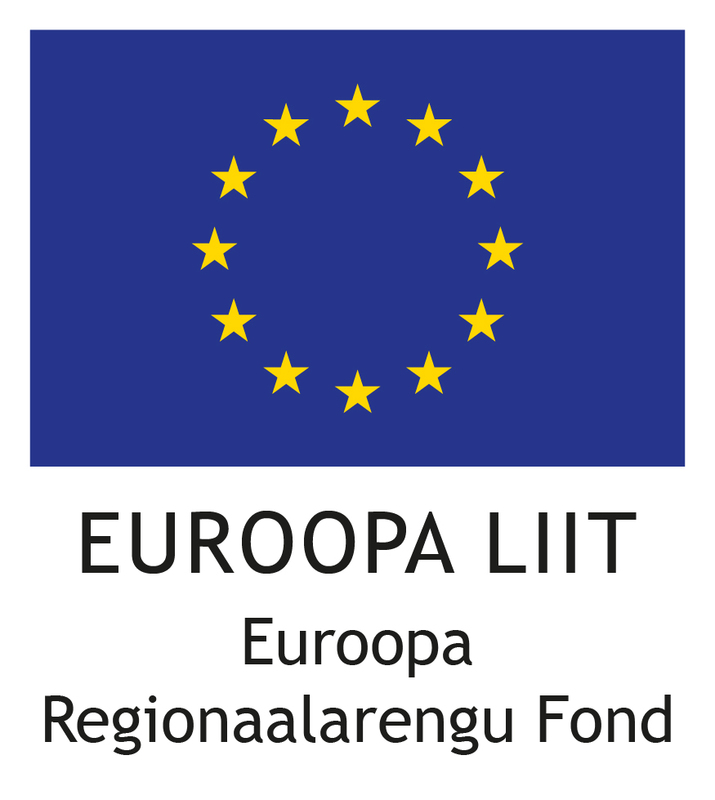 On the basis of Riga Law, which was implemented in New-Pärnu, everyone who paid 12 öres of citizenship money could become a citizen of the town. By the 16th century, this sum had increased to half a mark. There is no information about citizens’ annual obligations, primarily financial obligations (potential collections of the citizens’ money, etc), in that period. It is known that the Town Council encouraged the immigration of Germans, but as they could not fill all the necessary posts and New-Pärnu needed a constant influx of people, even if the Order and manorial lords wanted to stop migration from villages to towns, the town still had to fight for its survival. At the end of the Hanseatic times, when serfdom was emerging, peasants found it increasingly difficult to move to town, as manorial lords demanded their unconditional extradition. Livonian towns did not agree to this. In 1543, the Riga Law was amended so that the rule of living in a town for 1 year was lengthened to 2 years. Manorial lords demanded the time period be 30 years. However, this notion was absurd from the towns’ point of view and was not enforced in New-Pärnu. The case of one Estonian mason, Andreas Block, is well known. He had been living in New-Pärnu for a long time, he even owned property. However, his lord Johann Slippenbecke, manorial lord of the Pornuse manor (near Viljandi), did not agree to him moving to town and only approved of his status of a free townsman 15 years after Bock had arrived in town, and only when Bock had bought himself free from Slippenbecke. 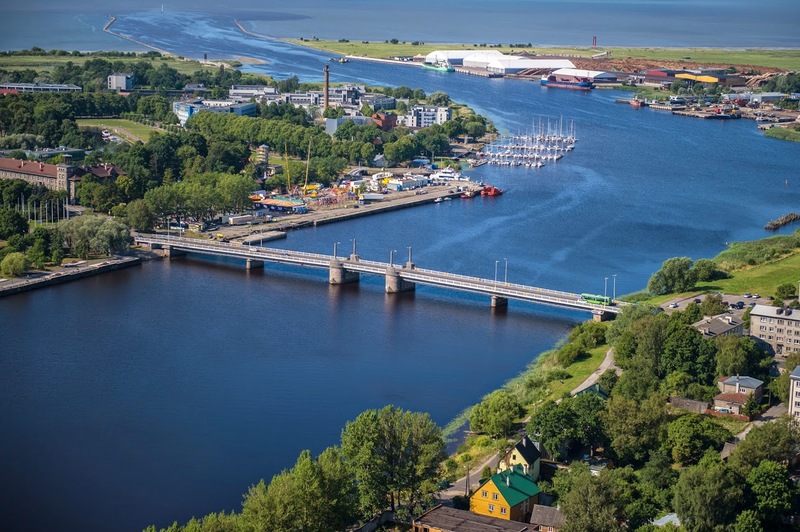 Participants of the tour will gain insight about what life was like in Hanseatic New-Pärnu and its suburban area, what kind of relations did New-Pärnu and Old-Pärnu have, and what role did the guild have in the organisation of medieval city life.